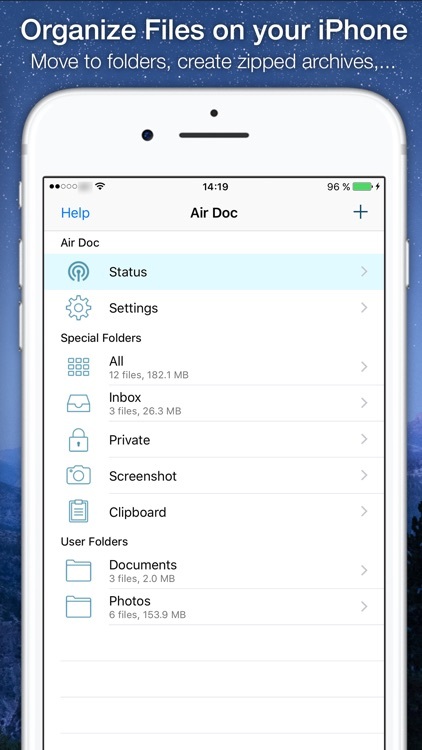 Air Doc is the ultimate solution for transferring files - documents, images, songs, you name it - to and from your iPhone or iPad without any cloud solution. Your files never leave your local network and every transmission is encrypted - protect your privacy. 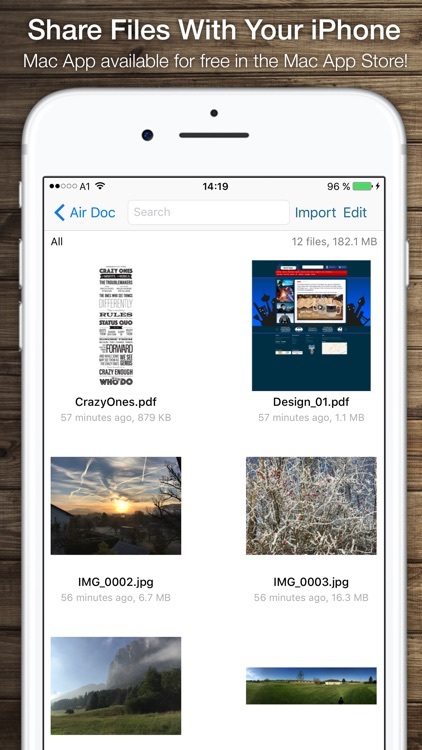 Air Doc is the long missing file transfer solution for your iOS device. 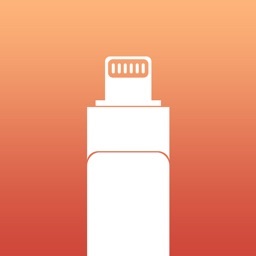 Simply drag and drop files to your iPhone or iPad. Your files never leave your network and are encrypted on transmission. 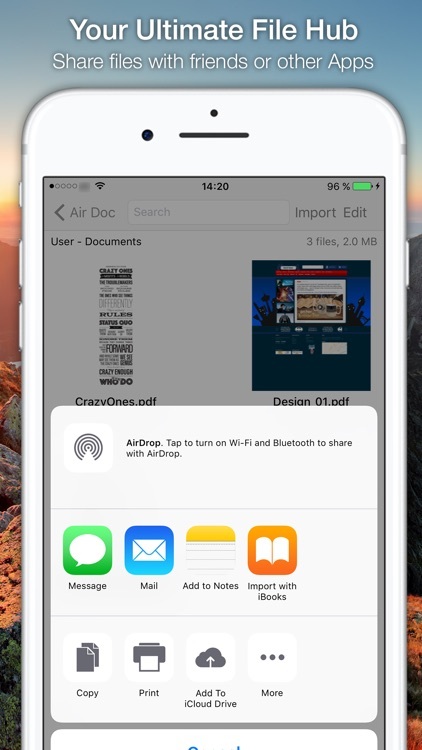 Transfer files between iOS devices using AirDrop. 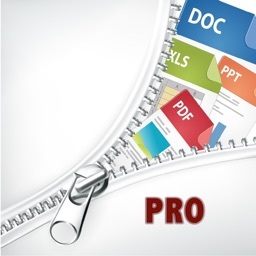 You can archive multiple files (zip) and send them via email or messages. 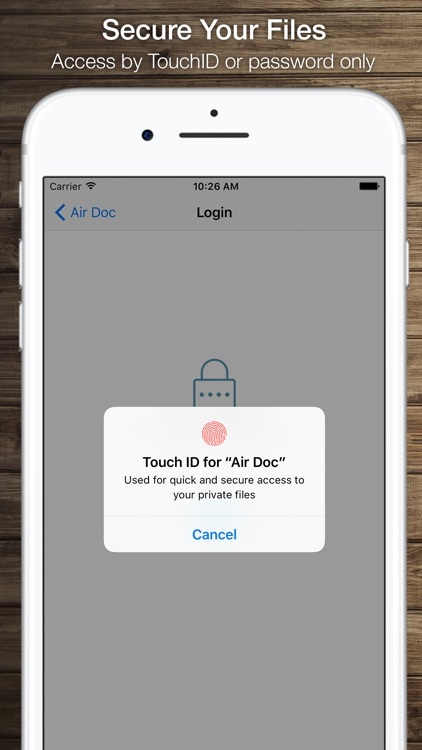 You can move your files into a private area that is secured by TouchID or password. Access your files from any operating system (OSX or Windows) using your browser. Even stream movies directly from your iOS device to your browser. 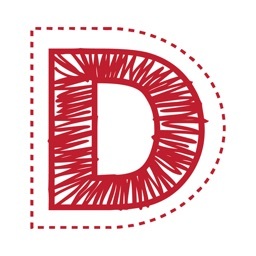 Use Air Doc to replace your Mac's secondary display with your iPad vor viewing documents - enhanced by the touch capabilities of your iOS device, but without the need to install any drivers. Simply drag movies and songs to your iOS device to view them offline - even stream to your AppleTV using AirPlay. 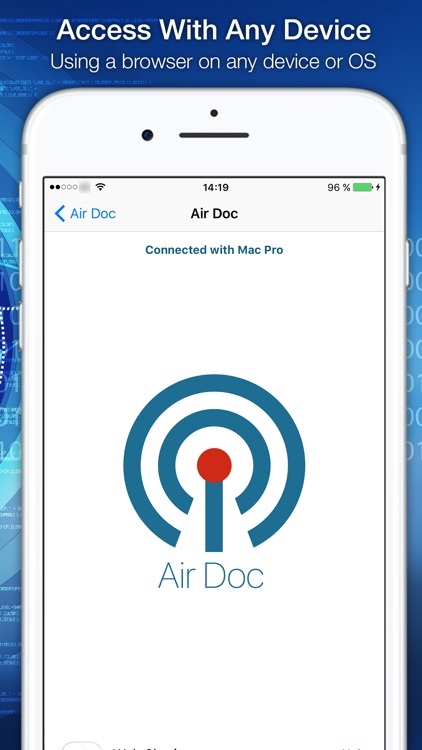 The Air Doc App for your Mac is available for free in the Mac App Store. From Mac to iOS: all your devices must have access to the same LAN (or WLAN) - no additional network configuration is needed. 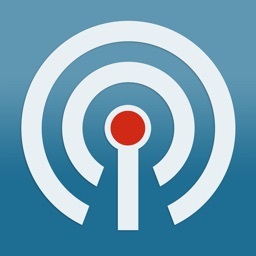 From iOS to iOS: no network configuration needed at all.